A complex coffee with notes of toasted barley, spices and black walnut. 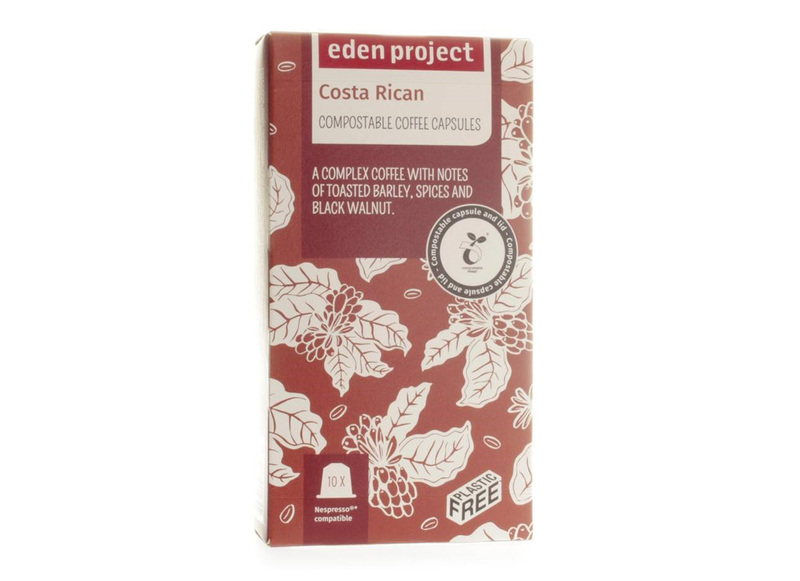 Our organically grown Costa Rican single origin blend is a complex light roasted coffee with a lemon-like brightness, medium body with notes of spiced green tea and toasted barley. Herbal and black walnut notes in the finish. The perfect balance of acidity and flavour. The capsules can be put in your council garden waste collection or composted in your own garden. Coffee grounds are also good for your garden, adding nitrogen-rich matter to the soil. The capsules are made from biodegradable bioplastic and produced using energy generated from wind, sun, hydropower and biogas – so don’t contribute to climate change either. Free from aluminium and oil-based plastic! *Nespresso is the registered trademark of Société des Produits Nestlé S.A.